The Deinotherium or ‘terrible beast’ was a large prehistoric mammal similar to modern day elephants. 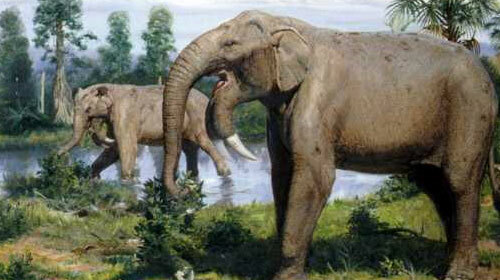 Although similar to today’s elephants, there are a handful of differences such as a shorted trunk and downward curving tusks. The Deinotherium was also much bigger than today’s elephants and is currently thought to have been the third largest land mammal ever to exist. The Deinotherium or ‘hoe tusker’ as it is known in some parts could grow up to 16ft at the shoulders and is thought to have weighed up to 14 tonnes depending on the size of the specimen. 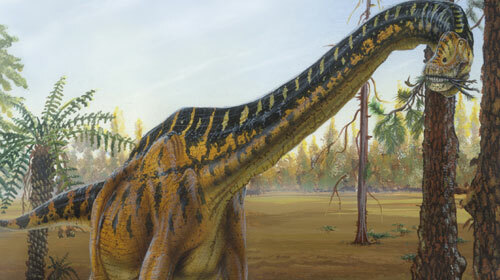 These gigantic mammals were believed to have roamed across Europe, Asia and Africa before becoming extinct with each region being home to a different species of Deinotherium. Out of the three Deinotherium species the Deinotherium Giganteum was the species native to Europe and was the first to become extinct with fossil recording disappearing between 2 – 4 million BP. The Deinotherium Indicum was the species native to Asia and was the next to become extinct with fossil records vanishing after 7 million BP. 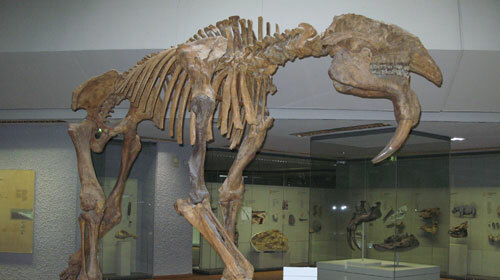 The last surviving species was the Deinotherium Bozasi which was the native African species. The intriguing downward curving tusks of the Deinotherium have been the topic of much debate as experts try to figure out the most likely use for these curious tusks. It has been suggested that the Deinotherium may have used these tusks to pull down tree branches to reach leaves or even use the tusks to dig soil for plant roots an tubers. The exact use for the Deinotherium’s intriguing tusks will never be known for sure.